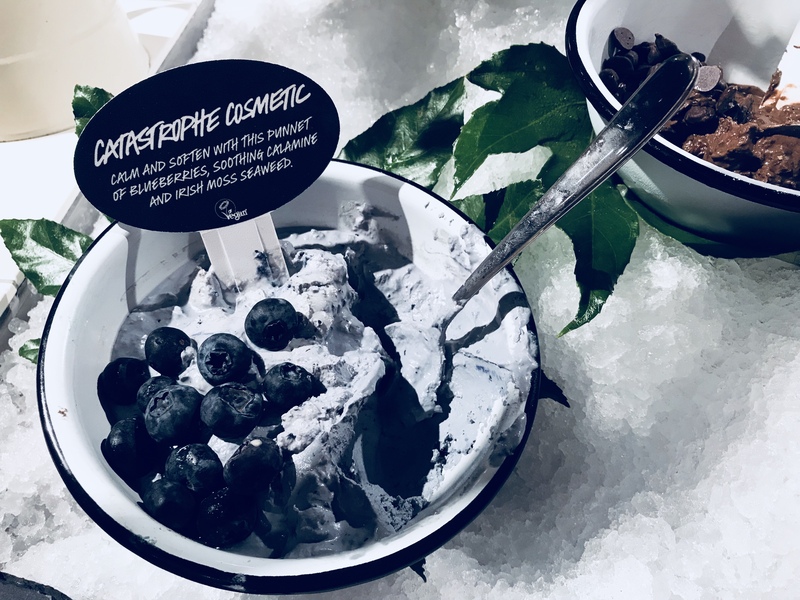 Recently I was invited by Lush for a full consultation* which not only taught me about the products but, has introduced a few new products into my daily skincare routine. When we arrived it was all set up and looking absolutely beautiful! 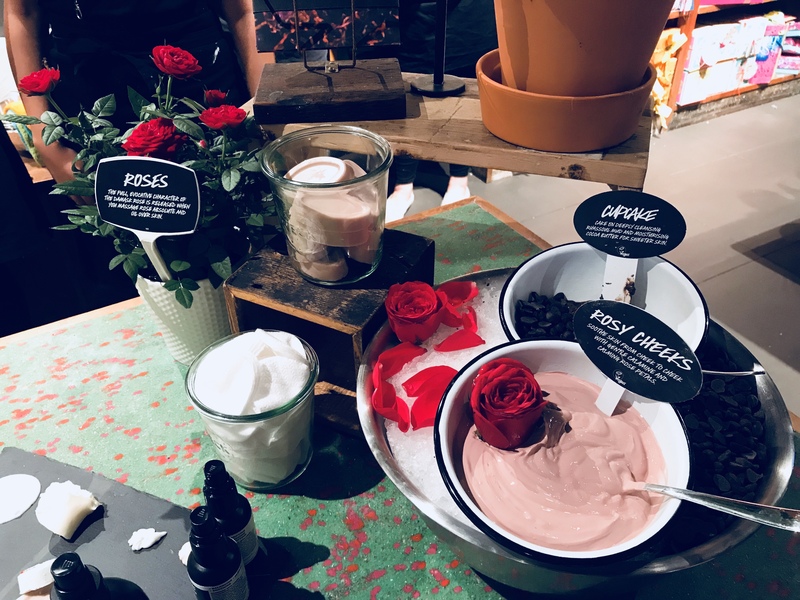 The fresh ingredients were displayed around a little sign welcoming the Southampton Bloggers for an evening of top skincare knowledge and pampering. 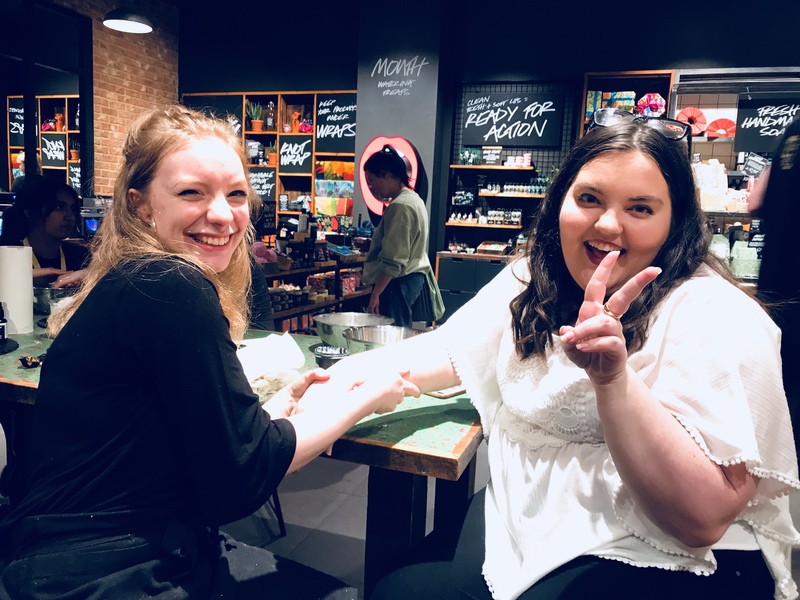 The Lush team took me through a slate skincare consultation, how to make a fresh face mask and taught me how to do an arm and hand massage. After a stressful day at my desk it was just what I needed to unwind! We were paired up and took turns using a bar of our choice to learn how to do a proper arm and hand massage. Being taught how to do this is so useful when your jobs involved sitting at a desk and working at a computer all day. A lot of tension builds up in the arms and this is a really fab treat you can do in the evening at home with a loved one. I picked Each Peach and soon the refreshing citrus scent filled the air as I warmed the bar up between my palms and rubbed it onto my arms. 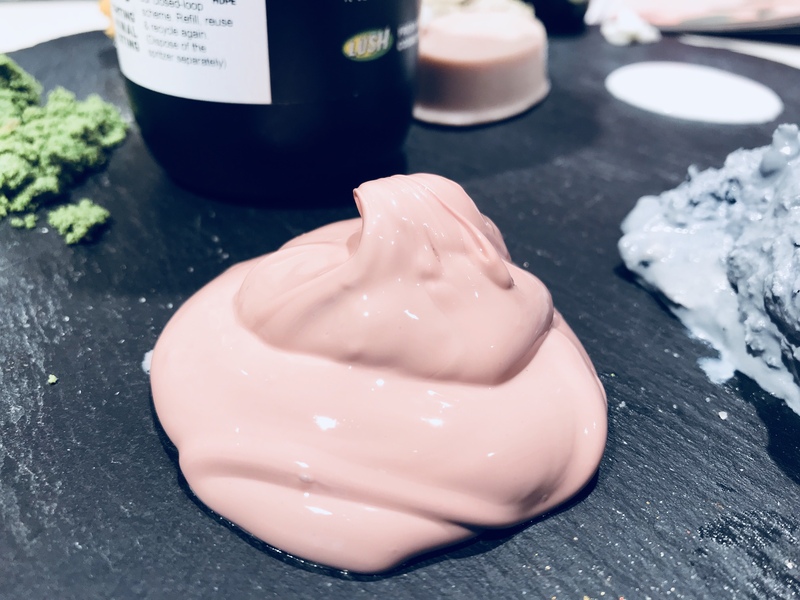 It’s a moisturising bar that melts quite easily at room temperature, so this if definitely one to keep in the fridge or in a cool spot in the bathroom. The best time to use this product is as night to give the oils a chance to sink into your skin. I’ve also found that it adds a lovely gloss to your legs if you’re wearing a dress, so once I’m ready I add a bit to give myself that healthy moisturised glow. 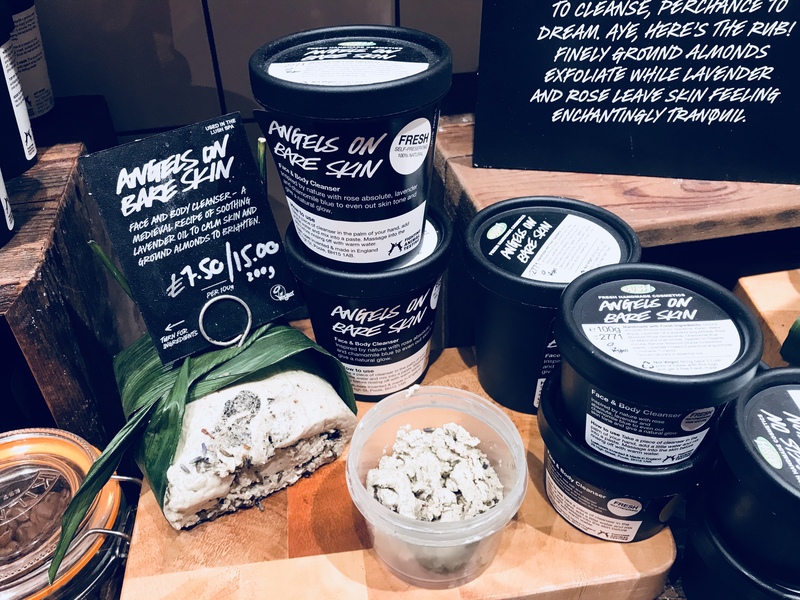 Another plus point is that it’s plastic free, it’s fantastic that Lush is now creating products that reduce the reliance on single use plastics. 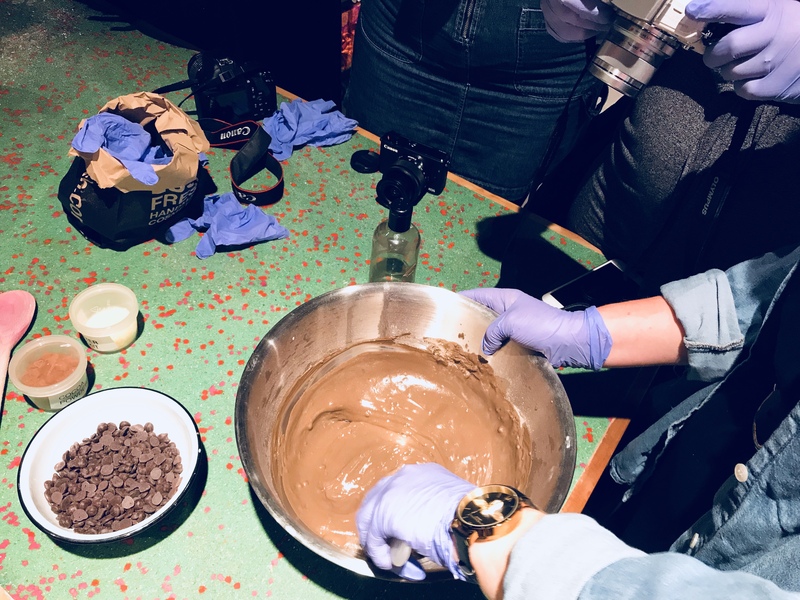 What an opportunity, I’ve never made a face mask before, it was a bit like making a cake without the baking part! And, of course, it was a lot of fun. It was also very satisfying going home and putting on the mask that you had put together. It’s time to make a face mask! 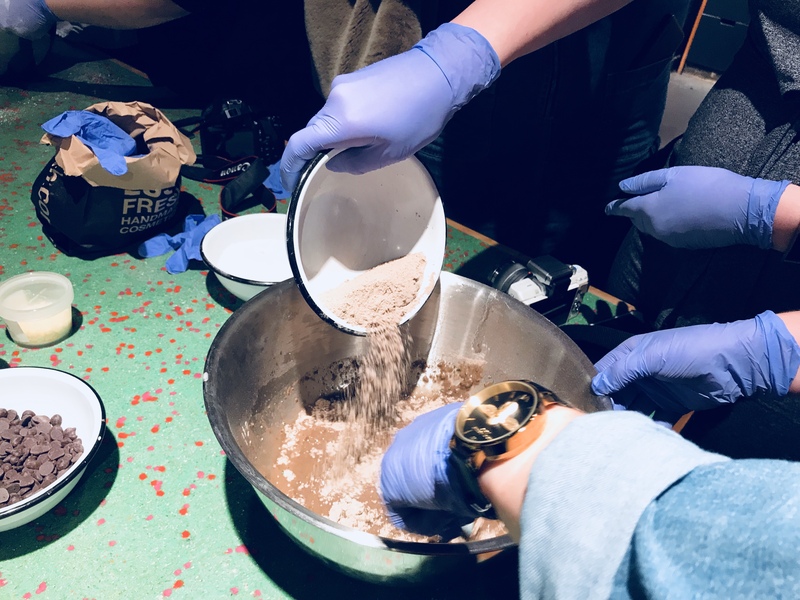 There was a lot of mixing, an arm-aching amount! 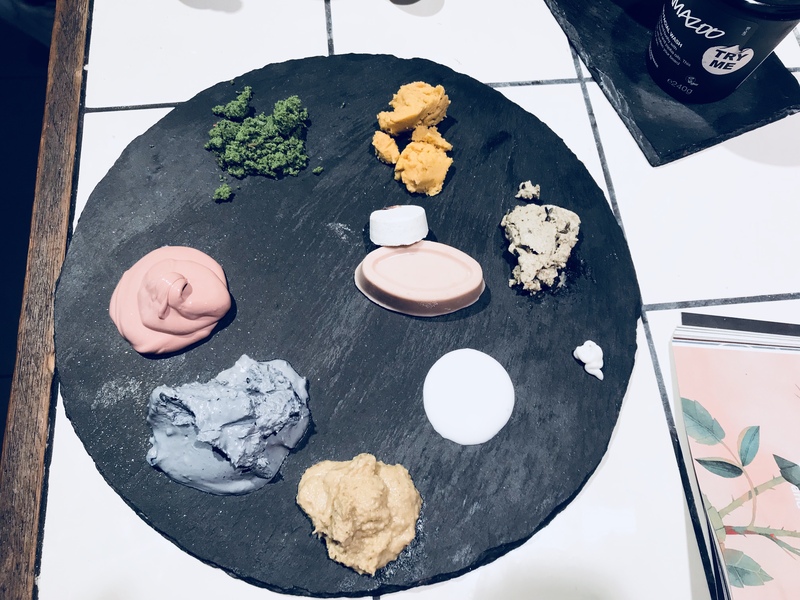 The slate consultation was so insightful, a real eye-opener to the skincare range which was perfect for me as I’ve only just got into Lush products. 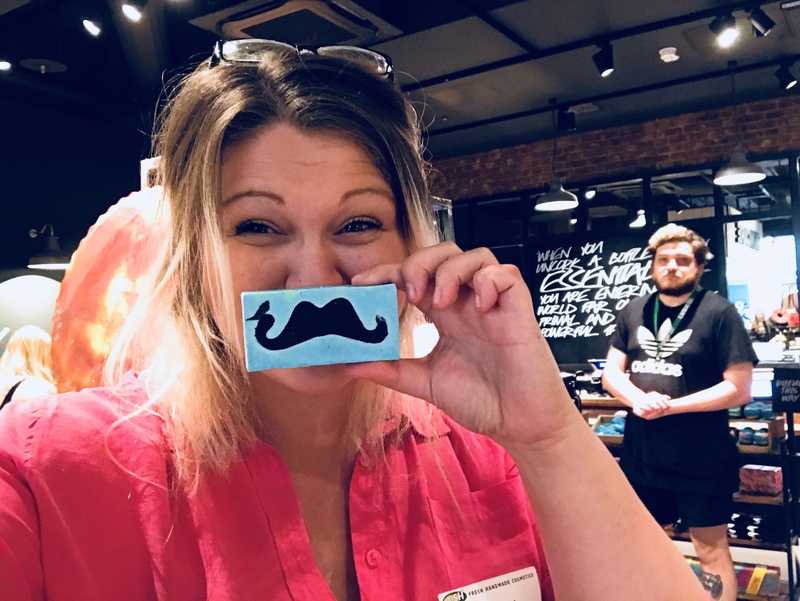 Wendy, part of the Lush team, took me round the store and had a proper natter about my big boat race (face! ), she went through the products that would suit my skin the best. I’ve waited to post this as I’ve spent a couple of weeks testing the products out so I could give you my opinion on what worked for me. From this selection I already have some firm favourites that I’m using in my daily routine and will be returning to store for. So, here’s the breakdown of what I loved and what didn’t work for me. 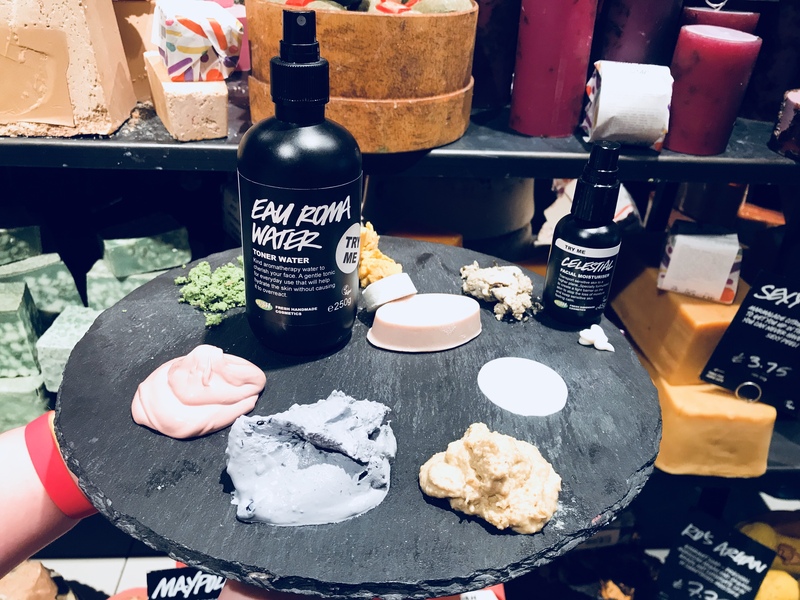 Lush were kind and gave me a few samples and full sized products so I was able to try my products back at home to see how they fit into my skincare routine. The Fresh Farmacy soap is a real stand out and so calming, it’s also been a whizz at keeping any breakouts at bay. It’s got lots of soothing ingredients which makes it perfect for everyday use and leaves the skin feeling soft and supple. I’m not sure how you’re meant to use this product whether you’re meant to use it like actual soap or not! I use my Konjac sponge, which is made from vegetable fibres from the Konjac plant, and hot water and rub it in circular motions to get it onto the sponge. The soap is quite hard so take a little bit of working at to get it to lather up. Then I rub on a damp face in upwards circular motions until I’m happy my face is clean! I do this after I’ve taken my make up off and washed my face with my Clinique soap. I feel like that taking my make up and the day’s grime off before using this product lets the soap do its job and has reduced the number of breakouts on my face. This has been added to my morning and evening routine and over the past month I’ve seen my skin improve. I’m the classic oily t-zone kind of gal and suffer with breakouts rather than bad skin as a whole. Let me be straight up with you I’m not keen on the smell of rose, it’s not my thing at all, ok so I hate it. 🙈 However, thankfully these two products don’t smell too strongly of rose and were lovely and calming for the skin. Dream Steam feels like such a treat. It’s a one off, maybe once a week/fortnight product, you add it to hot water to steam your face and clear your pores. It’s also really good value, as once you’ve used it to steam your face you can keep the water for about a week afterwards and use it as toner. TOP TIP ALERT – Grab a little spray bottle from Home Bargains/Poundland and once you’ve used the tab pour the water into the bottle and kept it in the fridge (Wendy at Lush told me it helps the toner water last longer – thanks gal!). That’s what I did and it was then very easy to dispense onto cotton wool to use. It’s perfect for this hot weather we’re experiencing too, sometimes in the evening it was just nice to spritz your face with it to cool down. Bonus! 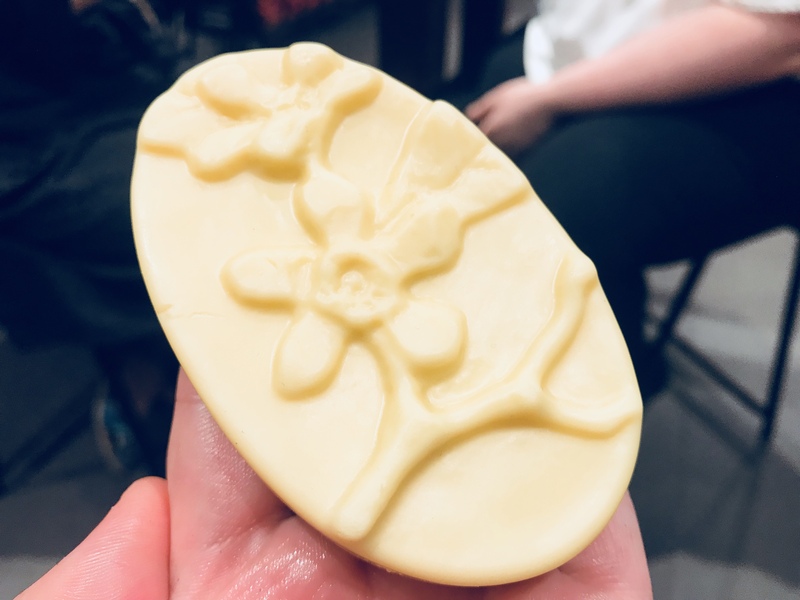 My Lush items – in the middle you can see the Full of Grace bar, it’s the pink oval! This is such a great option to cut down on plastic waste. 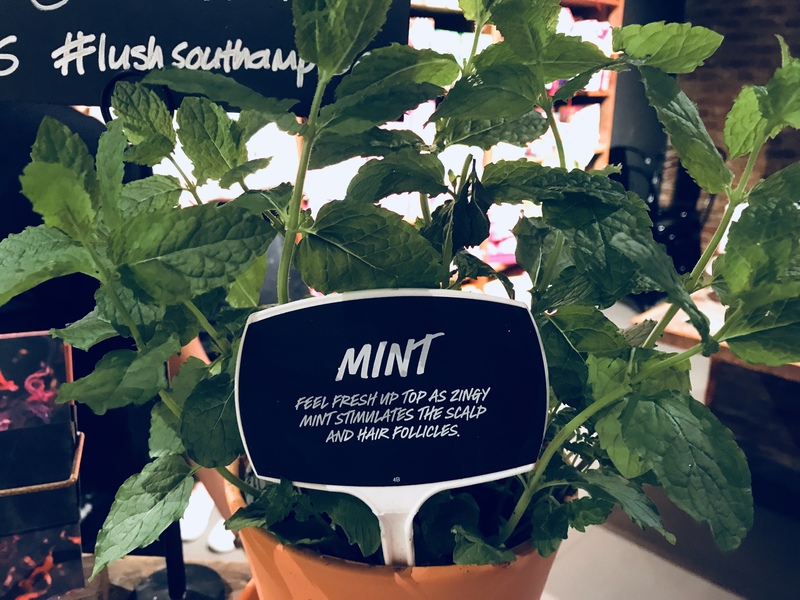 YAS Lush, I love cutting back on plastic when I can. Also, I think this will be a real winner on holiday. It’s small so will keep your luggage weigh down, and it’s really moisturising, perfect after a full day in the sun! When it comes to use of the product I prefer to use it at night time, before I go to bed, a couple of times a week. It feels like a bit of a pamper and I think even though the consistency is light, it’s just not light enough for my type of skin. For an every day moisturiser Celestial is so light that I’m able to use it daily in my morning and evening routine. Gorgeous light and creamy – as I said above it’s slotted into my routine seamlessly! Great every day use, very gentle and didn’t dry my face out. I had a sample big enough for a few days, I’m thinking of getting it to see what it would would be like over a month. 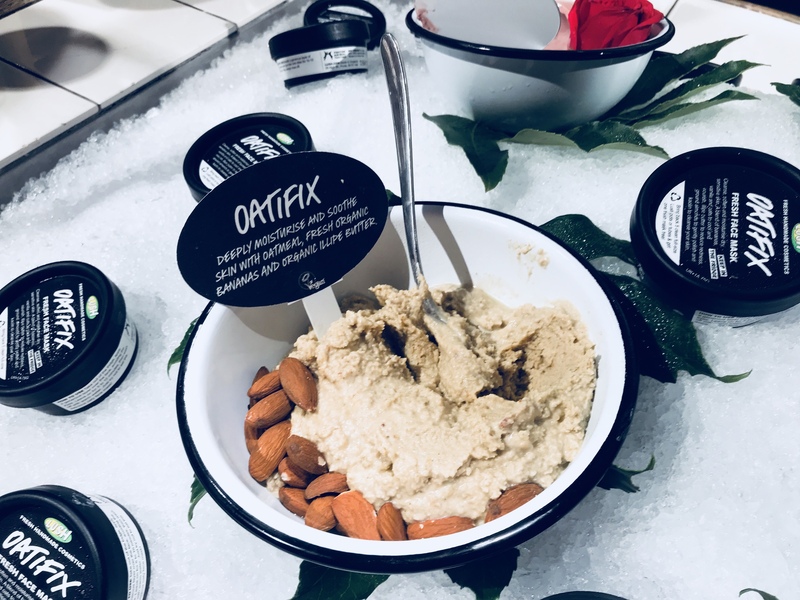 I loved these three fresh face masks however if you’re in a rush in the morning this might not be the product to use. You have to work the mixture into a paste, so it takes a bit of time and is a little messier than the 9-5 cleanser. It’s not bad, it’s just not super quick and I need speed and ease in the mornings especially on the days when I’m in the gym. So, I used this as a treat product at weekends and on evenings when I had more time. How these work really depend on your skin type, I found Let the Good Times Roll and Angels Bare Skin a lot more effective than Herbalism. On the days I used it I found I need other products to help keep my oily t-zone at bay. Let the Good Times Roll was more invigorating and great for the days when you want a bit more of a scrub and Angels was better for the days when you wanted to calm the skin. My favourites are Catastrophe, Oatifix and Rosy Cheeks as they were more effective for me, creamier and smelt so good! 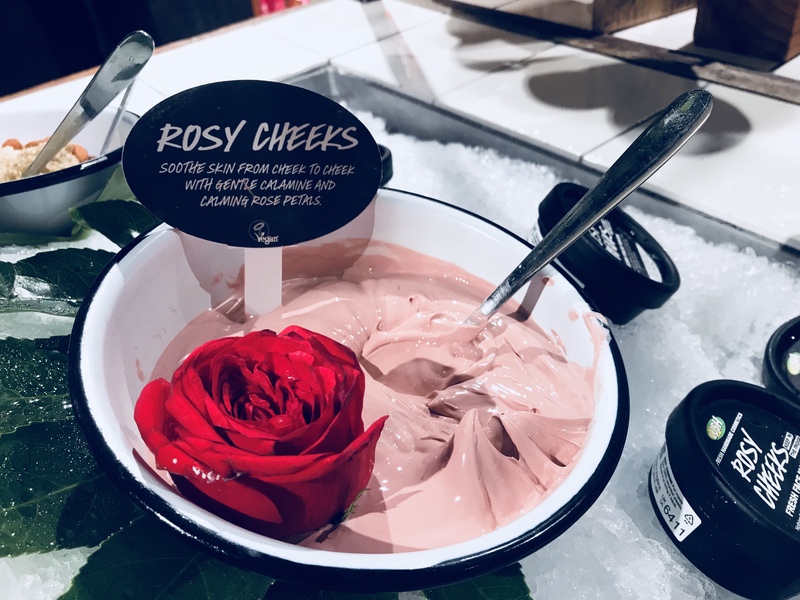 Thankfully Rosy Cheeks only has a little rose in it. 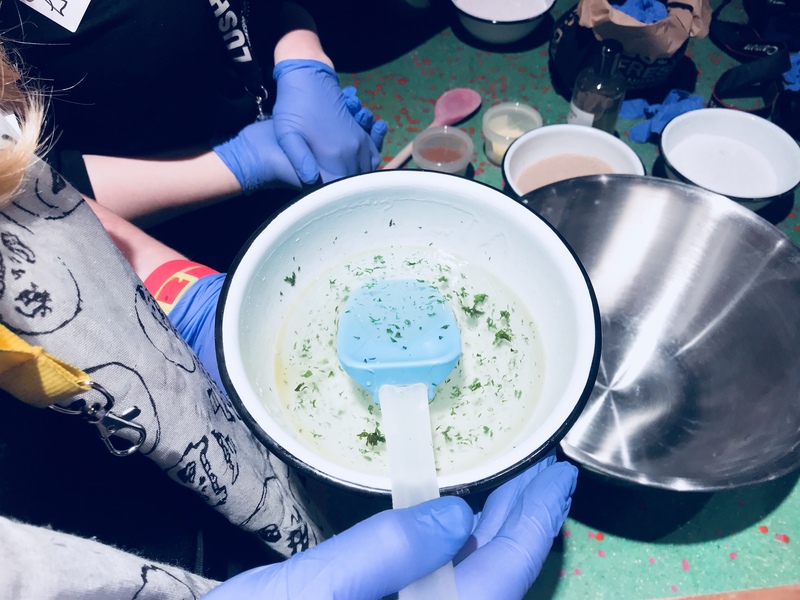 The scent is not overwhelming and thankfully the other ingredients balance the smell. If you like the smell of roses Lush have some really fab products you’ll like! 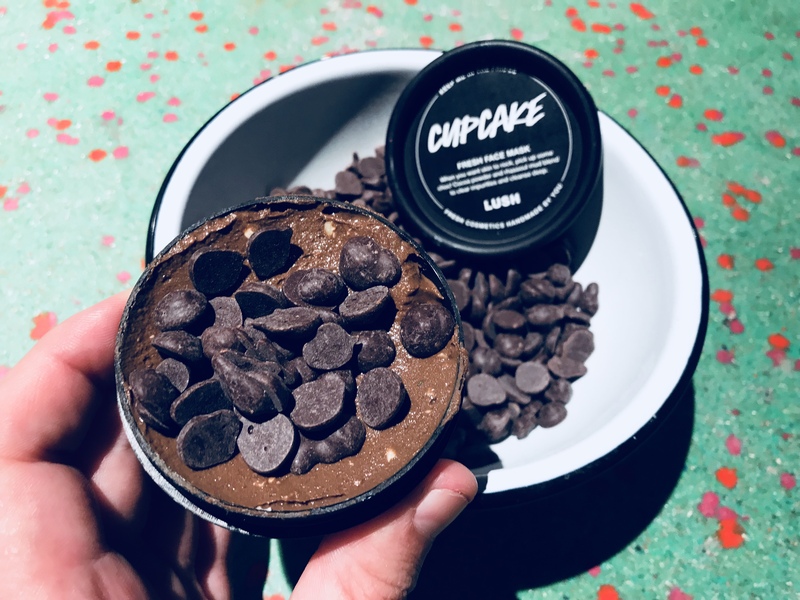 Cupcake wasn’t as effective as the others for my skin and was quite difficult to remove, perhaps I didn’t apply it right – if you’ve got any tips I’d love to hear them as I know this is a firm fan favourite! I love a face mask so can’t wait to pick up my favourites again, I’m also going to try the one that’s bright blue called Don’t Look At Me. That looks right up my street, I prefer the more fresh citrus smelling products. 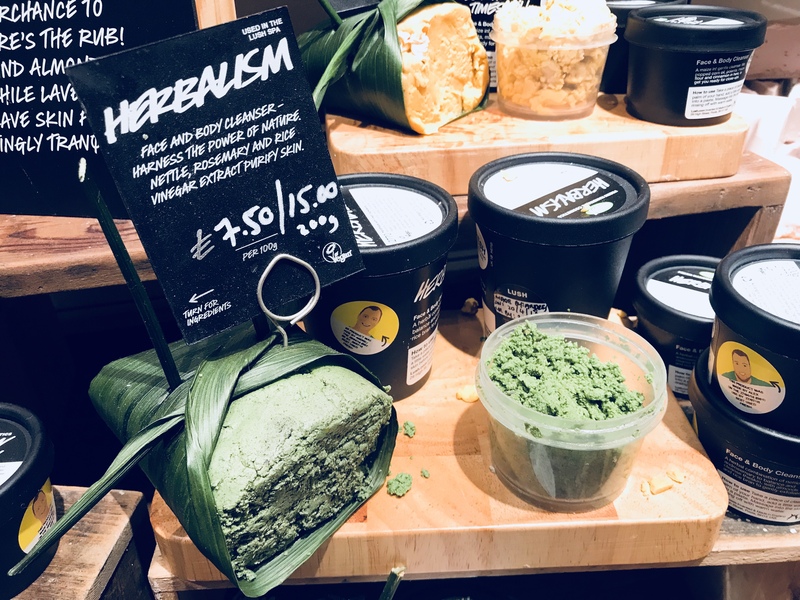 Discovering Lush’s skincare range was such a treat and has definitely added products to my everyday routine that has made it better. 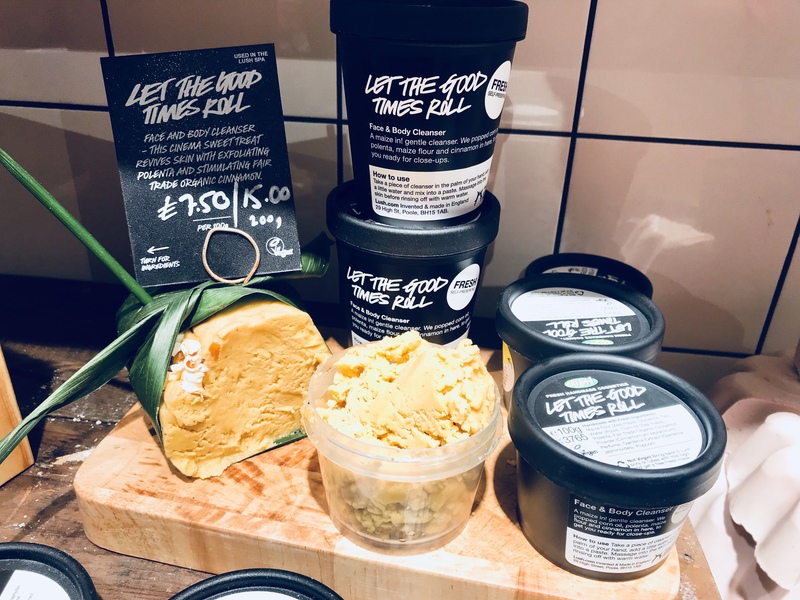 Have you discovered the skincare at Lush? If so, what are your favourites from the range? 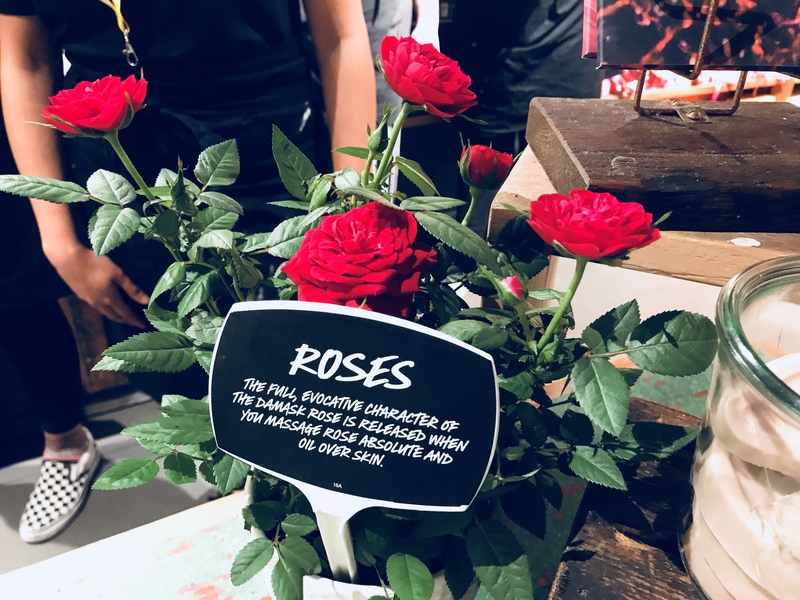 *PR gifted experience and products – BUT, all opinions are my own otherwise what’s the point?! 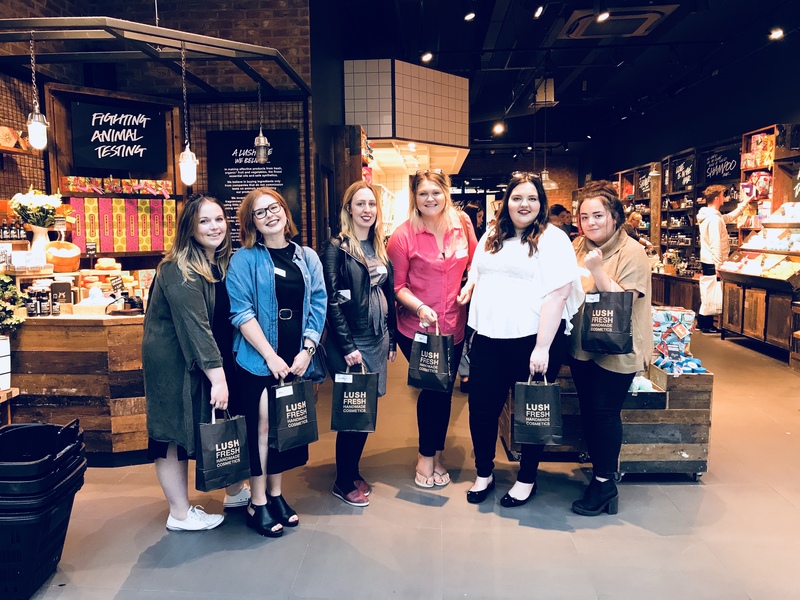 A whopper of a thank you to Lush Southampton and Southampton Bloggers! 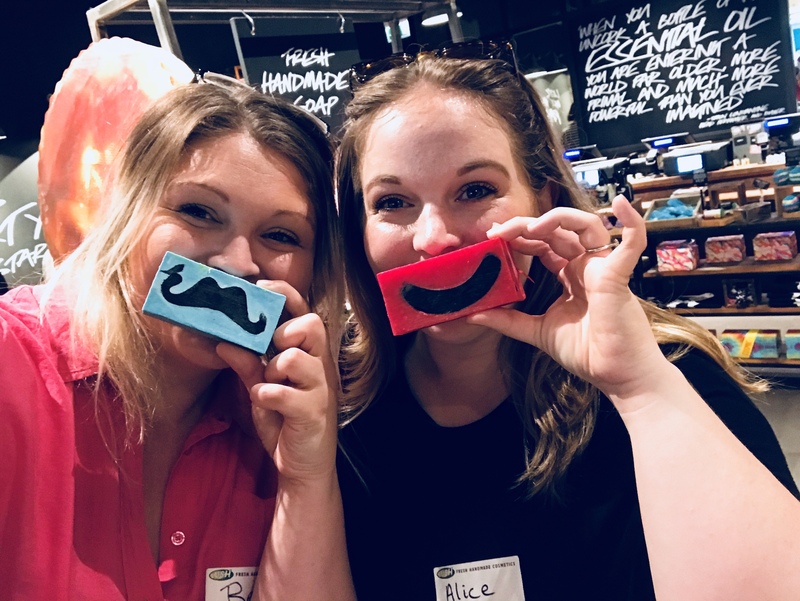 My nearest Lush store is at Westquay in Southampton where this consultation and event took place. Is there anything better than Lush? And how awesome that you got to make some products, what a fab experience! Once you start shopping there it becomes an addiction, I absolutely love it! Ah I know what you mean, you feel like you are doing some good for the earth shopping there! I really need to try the hair shampoo bars – i don’t understand how they can work!